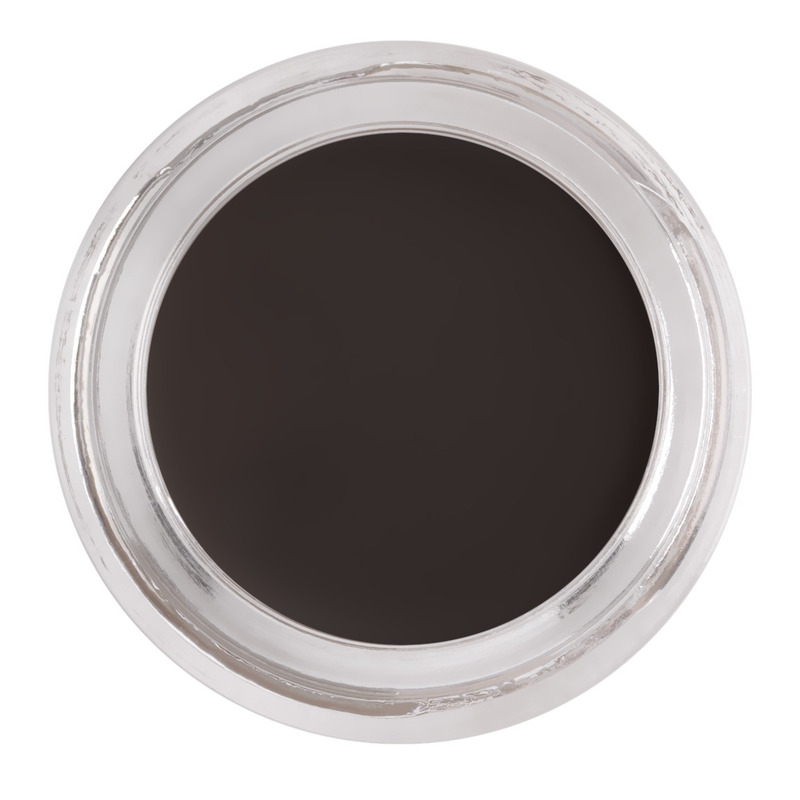 An award-winning waterproof, multitasking, and buildable matte pomade that stays put. 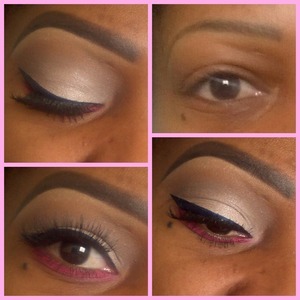 Apply and blend a small amount of the with an angled brow brush to effortlessly outline, fill, and texturize brows. Best used with the Anastasia Beverly Hills Brush #12. Eyebrows are never a problem now! I am amazed by this product! It lasts and lasts and lasts on my skin and looks flawless throughout the day! I can get a perfect gradient effect with this product and it's easy to blend with the "12"brush from Anastasia, that is made for the Dipbrow Pomade. Another thing I love with this pomade is that I do not need to clear up my brows with concealer cause the edge gets so sharp anyway, love it! The price is decent and the product is DEFINITELY worth it and the produtc will last you for a long time! I will repurchase, even if the price was higher, I would definitely repurchase. Cannot explain how much I love it and would recommend it for everyone. Just buy it already. I was in the market for a new product and this had just launched. I do PLENTY of research before investing in products, and I did not see one bad review of Dipbrow ANYWHERE. Needless to say, I was like an excited little kid when I finally got around to purchasing this at Ulta. Likes: Color- Ulta had none of these stocked on the shelves, which lead me to believe they were sold out. I asked a sales associate and she told me she had them tucked away. She went and got the one she believed to be the best fit for me, which irritated me a little. I felt like I should be able to pick which one I wanted after seeing them in person. Luckily, the shade she chose winded up being a perfect match. Staying Power- It really does last all day. The main reason I wanted a new product is because my current brow wax (by ELF) has been smearing a lot lately. This morning, I accidentally got a little of the Dipbrow on my hand and tried to just wipe it off with my other hand. It didn't budge. I tried wiping it off with my jacket. It still was there. I had to actually go and wash my hands to get it off my hand. Price- $18.00 is reasonable to me, especially for a staple like brows. Dislikes- Creaminess- It is advertised as creamy, but I expected kind of like a gel eyeliner. This product is literally butter in a jar. In my opinion, it's way to creamy and makes it extremely difficult to work with. 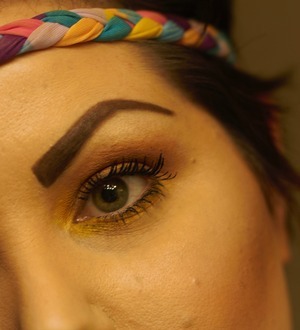 Pigment- There is no "light application" of Dipbrow. Even just a quick touch of your angled brush to this product is going to give you a deep rich color. 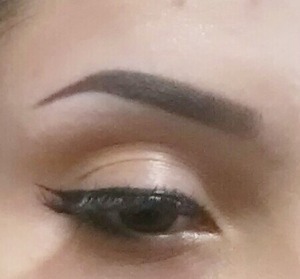 It makes it extremely hard to do a gradient brow or have any changes in intensity. As a makeup artist, it's truly rare to find the product that is a true multi-tasker. Well, not one that will give me the exact vision of a look that I want and know I can achieve with 3 other products and/or tools that I likely have in my kit, anyhow. While it's brand new, something tells me since I've barely made a dent that it is also a bang for your buck. I decided to put down my review of this wonderful eyebrow product because reading the other reviews on this has made me see that while this product is extremely popular, it is a highly misunderstood product. I often chat about makeup with my friends and what ive found consistant that is the same opinion I see on this site is that they tell me they find the diprow "too dramatic" or only good if you're into a "bold look". And I'm here to let y'all know that it takes a light hand, blending skill, and the right shade to get the most out of this product. The same people who knock this product are the same people who react surprised when I tell them that this is what I use and only this aside from a spooly to comb my brows through. Anyway, I would definitely give this a try while expecting to have a bit of a struggle with it in the beginning. I know I did. I have been looking for the best brow products for what seems like forever. I believe I have finally found the solution to my most difficult makeup task.....eyebrows. I have spent a fortune experimenting with practically everything on the market. 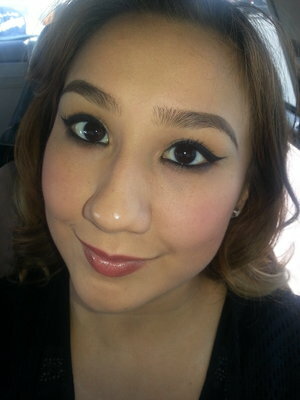 I was using Brow Wiz with much success and also the tinted brow gel in Carmel and added a warm eyeshadow color with the combination. However, I knew there just had to be something easier and more lasting.....I even spent a sizeable amount of money on the Tom Ford eyebrow pencil which I returned to Nordstrom's yesterday. Enter, Anastasias Dipbrow Pomade......THANK YOU!!!!! My brows (which are blonde as blonde can be with NO tail in my aging years)....and I had eyebrows in a matter of three or so minutes instead of the 5 or 10 minutes I was spending on them. I have been through the mill.....even Makeup Forever's brow product in a tube cannot compare to this. Tip: Turn the container over on your counter instead of leaving it uncovered while using it in order to prevent any dry-out of the product. When you are finished, then tightly screw cap it as suggested. I purchased both Chocolate and Auburn. The Chocolate for some depth of color and the Auburn for my warm skintone and haircolor. Oh, and in order to prevent a strong initial application, I dab my angled brush on my hand first before applying to my eyebrows -- just to be safe. I found if I need my tail a bit more defined later, I just added a swipe of brow wiz pencil there. As I'm sure you've read before this review, this product is truly outstanding. I think it has revolutionized the eyebrow challenge. What used to be "difficult" for newer brow enthusiast isn't anymore. The formula itself has amazing consistency. I also feel that you can stretch to different shades if you wanted. I personally have tried (and worn all day) Blonde, Ebony & Auburn when I am Chocolate. They all gave perfect color pay off & looked beautiful. You can also pair this with Brow Wiz & the shadow Duo. Actually, you can use any brow product in combination with the DipBrow & still achieve the benefits of DipBrow. xo! I think this stuff would be great for you if you're into stronger, bolder brows but I happen to like softer ones so mine is going back in the store unfortunately :( And, I haven't tried yet but I have a feeling this product (in Ebony) might make an awesome eyeliner though because it is so creamy, glides on so easily, and was definitely smudge proof on both my brows and the back of my hand!